League Two survivors Hartlepool fought back from 3-0 down to draw at Carlisle. Backed by 2,000 fans in fancy dress, Pools' celebrations for saving Football League status seemed ruined when Carlisle scored three without reply. Kyle Dempsey scored from 20 yards, Steven Rigg turned in a back-post cross and Jason Kennedy headed the third. However, Jordan Hugill scored twice after the break for Pools, either side of Michael Duckworth's spectacular solo strike, to seal a remarkable point. Match ends, Carlisle United 3, Hartlepool United 3. Second Half ends, Carlisle United 3, Hartlepool United 3. Corner, Hartlepool United. Conceded by Nathan Buddle. Goal! Carlisle United 3, Hartlepool United 3. 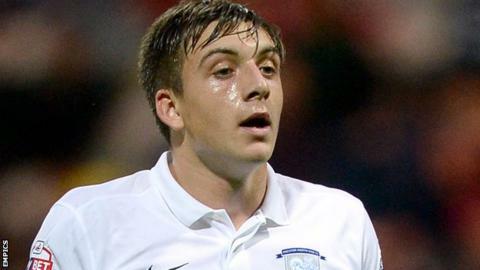 Jordan Hugill (Hartlepool United) right footed shot from the centre of the box to the high centre of the goal. Corner, Carlisle United. Conceded by Jordan Jones. Corner, Carlisle United. Conceded by Neil Austin. Attempt missed. Aaron Tshibola (Hartlepool United) right footed shot from outside the box is too high from a direct free kick. Substitution, Carlisle United. Paul Thirlwell replaces Brad Potts. Corner, Carlisle United. Conceded by Matthew Bates. Goal! Carlisle United 3, Hartlepool United 2. Michael Duckworth (Hartlepool United) right footed shot from the centre of the box to the bottom right corner. Goal! Carlisle United 3, Hartlepool United 1. Jordan Hugill (Hartlepool United) right footed shot from the centre of the box to the bottom right corner. Substitution, Carlisle United. Carl Taylor replaces Steven Rigg. Substitution, Hartlepool United. Jordan Jones replaces Ebby Nelson-Addy. Corner, Hartlepool United. Conceded by Kyle Dempsey. Patrick Brough (Carlisle United) wins a free kick in the defensive half. Foul by Ebby Nelson-Addy (Hartlepool United). Second Half begins Carlisle United 3, Hartlepool United 0. Substitution, Carlisle United. Connor Hammell replaces Antony Sweeney. Substitution, Hartlepool United. Marlon Harewood replaces Scott Fenwick. First Half ends, Carlisle United 3, Hartlepool United 0. Corner, Carlisle United. Conceded by Michael Duckworth. Attempt missed. Scott Harrison (Hartlepool United) right footed shot from outside the box is too high. Goal! Carlisle United 3, Hartlepool United 0. Jason Kennedy (Carlisle United) right footed shot from the centre of the box to the top right corner. Corner, Carlisle United. Conceded by Scott Harrison. Goal! Carlisle United 2, Hartlepool United 0. Steven Rigg (Carlisle United) right footed shot from the centre of the box to the bottom right corner. Goal! Carlisle United 1, Hartlepool United 0. Kyle Dempsey (Carlisle United) right footed shot from outside the box to the bottom left corner following a set piece situation. Attempt missed. Nathan Buddle (Carlisle United) header from the centre of the box is just a bit too high following a corner. Corner, Carlisle United. Conceded by Scott Flinders.